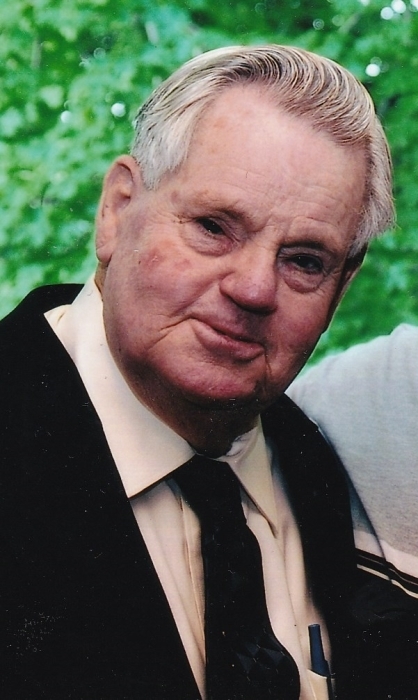 Obituary for Marvin Folker, Sr. | Esterdahl Mortuary and Crematory, Ltd.
Marvin Folker, Sr., 87, of East Moline, passed away peacefully on March 19, 2019. Burial will be private and at the convenience of the family. Friends and family are invited to attend a memorial service on Saturday, March 30, 2019 at 3:30 p.m. at the Kingdom Hall of Jehovah’s Witnesses (2767 – 9th Street) in Rock Island. Private inurnment will be at Christy Cemetery in Clark County, Missouri. Marvin was born in a log cabin along side Skunk River south of Burlington, Iowa on February 28, 1932. He was the son of Cyrus and Aletha (Boyd) Folker. He married Jean Marie Hall on January 18, 1953 in Burlington, Iowa. He was married to his beloved wife for 56 years. They had 5 children; Marvin Folker Jr. (Paula), East Moline; Daniel Folker (Lori), Silvis; Matthew Folker (Joetta), Springfield, Missouri; Bryan Folker (Chris), Geneseo; and Denise Folker (Tim Kibel) Colfax, California. Grandchildren include; Lindsay Grimm, California; Nathaniel (Katie) Folker, Iowa City; Jonathan Folker, Davenport; Stephen (Elaine) Folker, great- grandson, Levi, Davenport; Andrew Folker, Silvis; Kayleigh Folker, great-grandson, Carter, Silvis; Michael Folker (Ginger), Springfield, Missouri; Jason Folker (Fabiane), Springfield, Missouri; Ashley Erickson, great-grandson Easton Erickson, California. Marvin’s surviving siblings are Virgina Carnes, Verna Lubke, Ronnie Folker, Sharon Cale, Delores Mosher, Jim Folker and Steve Folker. Marvin loved spending time with friends, neighbors and family members who were joyful to know him. Marvin was a member of the Operating Engineers for 25 years. He then started Marv’s Tree Service for 25 years. He was one of the first in the tree business to be a certified Arborist. Marvin and Jean spent their retirement gardening and traveling. They had a firm hope for the future when as Ps 37:29 says ‘the righteous will possess the Earth, and they will live on it forever”. Memories may be shared with Marvin’s family on the tribute wall.